Sculpture Size: .75 X 5.75 X 3.5 in. Tim's most romantic piece ever! 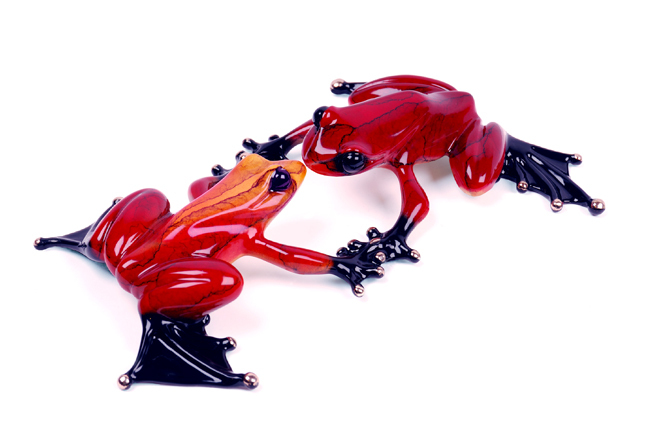 Two brilliant red frogs meet in a tender moment. Wonderful Valentine's Day gift for your sweetheart.